・ Brinton, Laurel J. and Leslie K. Arnovick. The English Language: A Linguistic History. Oxford: OUP, 2006. 50--52. The Origins of the Roman alphabet lie in the script used by Phoenician traders around 1000 BC. This was a system of twenty-two letters which represented the individual consonant sounds, in a similar way to modern consonantal writing systems like Arabic and Hebrew. The Phoenician system was adopted and modified by the Greeks, who referred to them as 'Phoenician letters' and who added further symbols, while also re-purposing existing consonantal symbols not needed in Greek to represent vowel sounds. 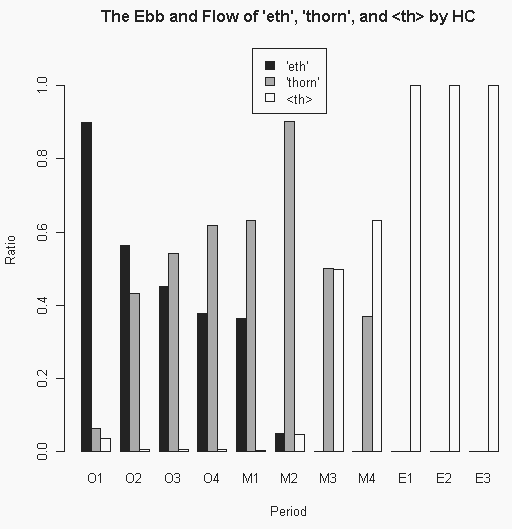 The result was a revolutionary new system in which both vowels and consonants were represented, although because the letters used to represent the vowel wounds in Greek were limited to the redundant Phoenician consonants, a mismatch between the number of vowels in speech and writing was created which still affects English today.